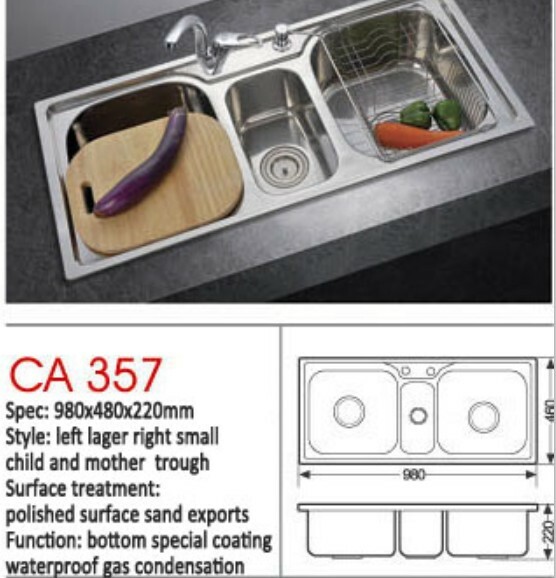 Kitchen Sink Product Description: stainless steel kitchen basin sink 16 or 18 gauge, 304 stainless steel, 18/8 materials. Under countertop installation way, and brushed satin steel finished with anti scratch new technology. Double bowls kitchen trough accessories including ceramic anti bacterial undercoating and rubber sound deadening pad installed.